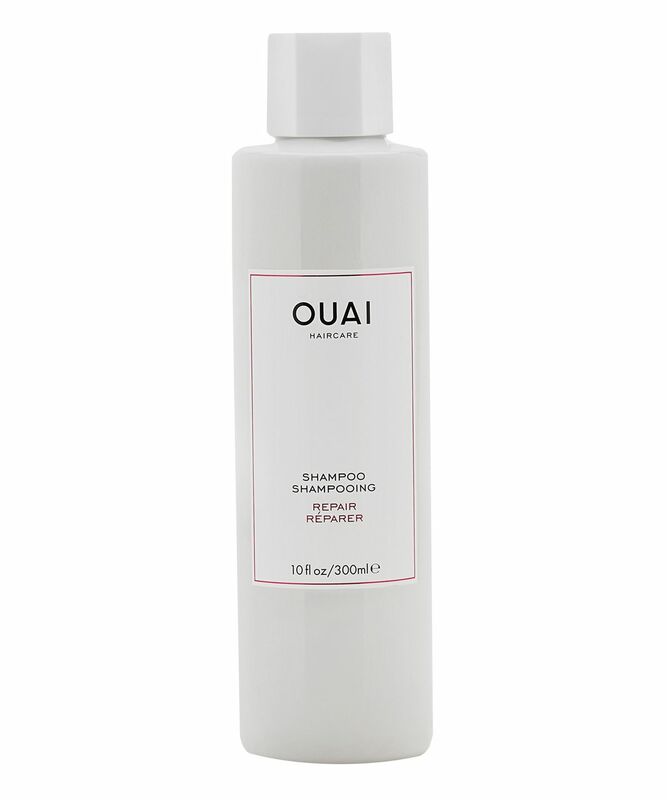 Ideal for dry or damaged hair, as well as more porous hair textures (coloured or chemically-treated, as well as thick, curly or over-processed lengths), OUAI’s strengthening Repair Shampoo hydrates and fortifies to minimise breakage and enhance shine. Completely free from parabens and sulphates, it’s perfect for those with particularly tempestuous tresses. Aqua (Water, Eau), Sodium Cocoyl Isethionate, Disodium Laureth Sulfosuccinate, Sodium Lauryl Sulfoacetate, Cocamide MEA, Cocamidopropyl Hydroxysultaine, Sodium Lauroyl Sarcosinate, PEG-7 Glyceryl Cocoate, Acrylates Copolymer, Cocos Nucifera (Coconut) Water, Panthenol, Glycerin, Phyllostachis Bambusoides Juice, Tamarindus Indica Seed Gum, Daucus Carota Sativa (Carrot) Root Extract, Hydrolyzed Hibiscus Esculentus Extract, Jasminum Officinale (Jasmine) Flower Extract, Nasturtium Officinale Extract, Helianthus Annuus (Sunflower) Seed Extract, Zingiber Officinale (Ginger) Root Extract, Moringa Oleifera Seed Extract, Hydrolyzed Linseed Extract, Pisum Sativum (Pea) Extract, Cynara Scolymus (Artichoke) Leaf Extract, Amaranthus Caudatus Seed Extract, Oryza Sativa (Rice) Bran Oil, Alanine, Arginine, Glycine, Histidine, Isoleucine, Phenylalanine, Proline, Serine, Threonine, Valine, Aspartic Acid, Laurdimonium Hydroxypropyl Hydrolyzed Keratin, Hydrolyzed Rice Protein, Hydrolyzed Corn Protein, Hydrolyzed Yeast Protein, Rice Oil Glycereth-8 Esters, Jojoba Oil Glycereth-8 Esters, Coconut Oil Glycereth-8 Esters, Ethylhexylglycerin, Propanediol, Dimethicone, Amodimethicone, Cyclopentasiloxane, Dimethiconol, Silicone Quaternium-22, Divinyldimethicone/Dimethicone Copolymer, Cocamidopropyl Betaine, Decyl Glucoside, Lauryl Glucoside, Polyglyceryl-3 Laurate, Glycol Disterate, Parfum (Fragrance), Hydrolyzed Vegetable Protein PGPropyl Silanetriol, Cystine Bis-PG-Propyl Silanetriol, Sodium PCA, PCA, Polyquaternium-7, Diisostearyl Malate, Laureth-23, Laureth-4, Trideceth-12, C12-13 Pareth-23, C12-13 Pareth-3, Polyglyceryl-3 Caprate, Cetrimonium Chloride, Palmitamidopropyltrimonium Chloride, Polysilicone-15, Leuconostoc/Radish Root Ferment Filtrate, Sodium Lactate, Pentylene Glycol, Propylene Glycol, Dipropylene Glycol, Guar Hydroxypropyltrimonium Chloride, Disodium EDTA, Citric Acid, Potassium Hydroxide, Disteareth-75 IPDI, BHT, Phenoxyethanol, Chlorphenesin, Potassium Sorbate, Sodium Benzoate, Benzyl Alcohol, Benzyl Salicylate, Hexyl Cinnamal. After using this for 2 weeks it irritated my scalp so much that I started have spots all over it and my roots were always so greasy. Clearly not for me! This product makes my hair feel beautiful! It does what a shampoo is supposed to do but I wasn't amazed by it. There are cheaper alternatives that are a lot better. It's nice, but I'm not going to lie it smells like my dogs shampoo. 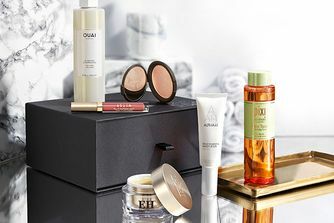 I have fine hair that is regularly highlighted and the repair shampoo and conditioner are amazing for it! They make your hair feel so clean after washing it (almost like a cleansing shampoo) whilst feeling completely moisturised. It has given my natural shine back to my hair. A hard task after bleaching. It smells amazing and the scent really stays. I don't usually spend as much on my shampoo/conditioners but this is definitely worth the money! 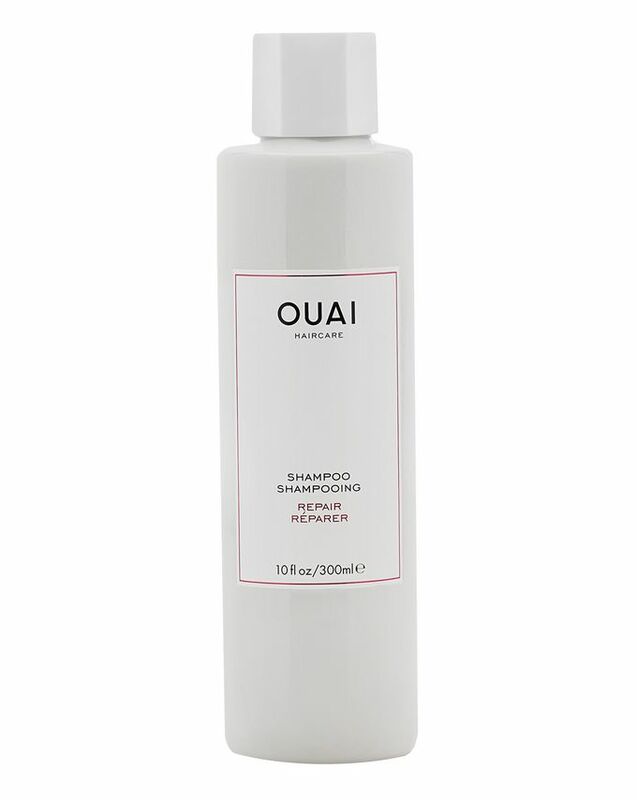 I bought five Ouai products in one go, including this shampoo, and could tell after just one use that they were the best hair products I had used in a long while. As a bonus, they are animal-testing free, and smell AMAZING. Have never tried anything so good! Smooths & makes hair beautiful for a very long time! I'm a big hair care junkie and I was not disappointed with this, I have fully highlighted hair and I used with the conditioner and conditioner spray my hair was knot free and healthy. Hair is left so soft and sleek and looks good till the next wash! I have thin hair that is quite damaged. After using it my hair felt soft and smoother than it has felt in a while! I will definitely continue to use. I have very fine hair and when I used this shampoo I found that although the smell is very nice, it just didn't give my hair enough nutrients as other products have in the past. My hair was left clean but still quite dry. I used the Ouai mask after shampoo and it made my hair heavy. Maybe it might work better on people who have thick hair. Bought it along with the hair oil and the conditioner - all of them are now my holy grail hair products! Fantastic smell, good lather. Wouldn't change a thing.